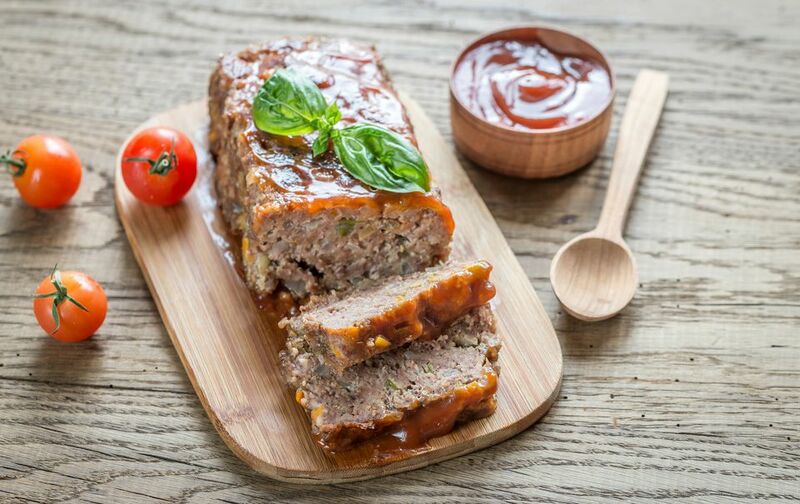 Easter meatloaf is popular with Czechs, Slovaks, Slovenes, and Bohemians and in some regions, it goes into the food basket to be blessed on Holy Saturday or Easter morning. This tasty dish is known variously as Czech sekana (from the word for "chopped"), Slovak sekanice, and Slovenian polnina, and is made differently by every cook. Some boil the meat first and then grind it. Others chop the raw meat but do not grind it. It depends on the region and the family's preferences. And some recipes even call for as many as 18 eggs! In a large bowl, mix together 1 1/2 pounds chopped veal, 3/4 pound chopped pork shoulder, salt and pepper to taste, and 2 large eggs. Soak 3 stale rolls or 4 slices stale bread in 3/4 cup milk and squeeze almost dry. Chop the bread and add to meat mixture with half (1/4 cup) of the diced bacon. Fry the remaining 1/4 cup bacon with 1 large chopped onion until caramelized, but not burned. Cool completely. Add to meat mixture and mix thoroughly. Fry up a small portion of the mixture and taste it to make sure it is seasoned correctly. Make any adjustments to the rest of the mixture. Shape meat mixture into a loaf shape and bake free-form in a roasting pan or in a 9x5-inch loaf pan placed on a baking sheet to catch any drips. Baste top of meatloaf with melted lard or bacon grease. Bake 1 to 1 1/2 hours or until meat thermometer registers 185 F. Add stock, as necessary, basting frequently.